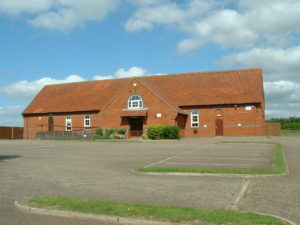 Hethersett Village Hall is a registered charity administered on behalf of the community by a management committee of seven, all of whom are trustees of the charity. The Parish Council appoints three of the trustees and four are elected at the Annual Parish Meeting in May every year. Trustees serve for a year but may be re-appointed or re-elected for further terms. The committee has appointed a caretaker and a booking officer to be responsible for the day to day running of the hall. The names of the Trustees are listed on the village hall notice board and can be found on the Charity Commission website by searching using the hall charity number ‘1041213’. A TRUSTEES IS URGENTLY REQUIRED TO ENSURE THE CONTINUING EFFECTIVE RUNNING OF THE HALL. IF YOU WOULD BE INTERESTED IN SERVING THE COMMUNITY IN THIS WAY PLEASE CONTACT THE HALL SECRETARY. THE INITIAL APPOINTMENT WOULD BE UNTIL MAY 2018.